Mia Madre Trattoria will be the site for the Pittsburgh TasteBuds June 2011 Wine Exchange. Before coming to that decision, we went into the cold and sampled the homestyle Italian cooking that this small Bellevue gem has to offer. 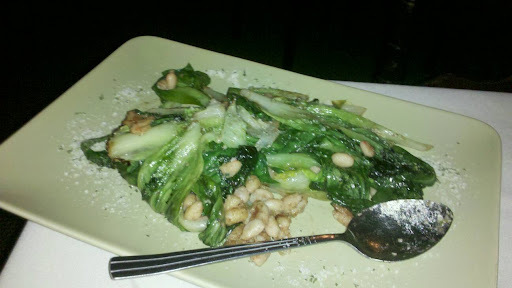 We were served two appetizers, stuffed banana peppers; and greens and beans. Both were wonderful. 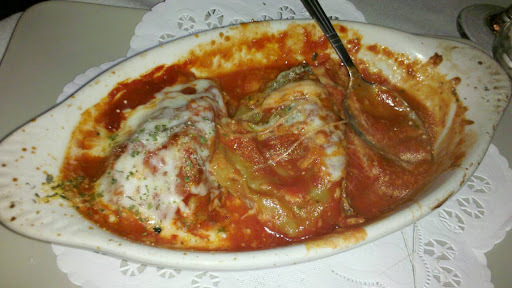 The stuffed banana peppers were tender with a nice Italian sausage stuffed into them and covered with a homemade marinara sauce. There were three served, the picture is after I had the first one. The greens and beans were great. They were cooked differently than I’d had them before. I couldn’t figure out how the beans had so much texture. Apparently, the beans are cooked with the garlic (and I assume some secret spices) to get tender before adding and tossing the greens. Sounds simple, so I’m sure there is more to it, but the beans made this dish. 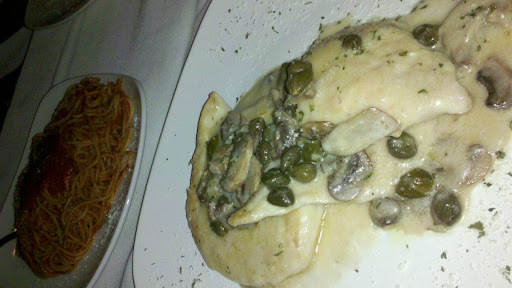 For out entrees, we both choose a chicken dish, Chicken Picatta and Chicken Marsala. Very different dishes, both very good and served with a side of pasta. 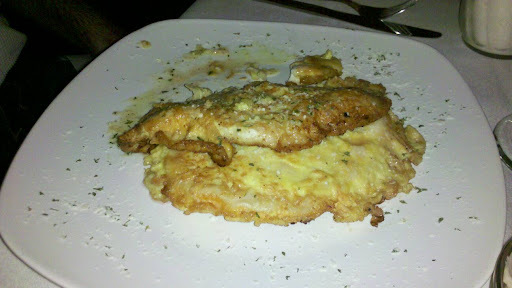 The chicken was very moist with the Picatta. The capers were monster-sizes which looked awkward, but tasted great. A lemony dish after so much marinara was a pleasant change to the meal. The chicken for the marsala was cooked well and reheated well the next day too. TasteBudA couldn’t finish it. When the wine exchange comes in June, we will be taking advantage of the patio seating if the weather cooperates. From the moment we walked in and were sat, Mia Madre had a very homey feel and the wait staff and owners welcomed us with open arms as if we were family.